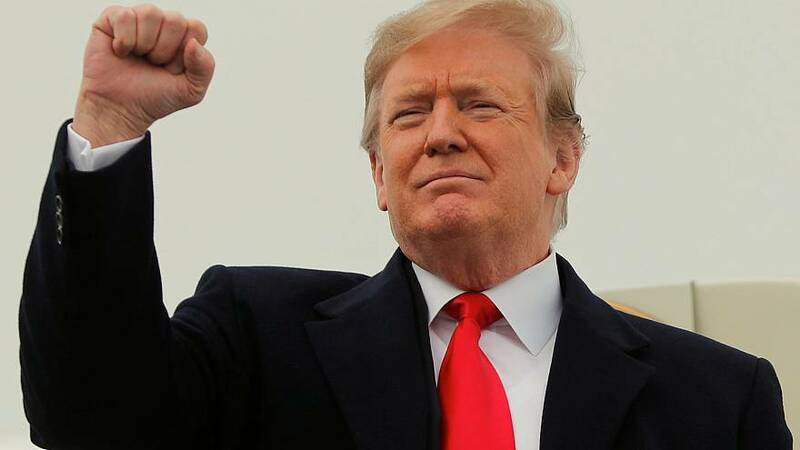 WASHINGTON — One of the largest Democratic super PACs, American Bridge, is embarking on a $50 million effort designed to soften President Donald Trump's support among the group that cost Democrats the White House in 2016 — white working-class voters in the Upper Midwest. "We understand that we may not win these voters back entirely, but if we don't make inroads into these areas, we will win the popular vote, lose the Electoral College, and the Senate could be lost for a decade," the group wrote in a memo to prospective donors obtained by NBC News. Officials with the super PAC and its affiliated non-profit, founded by longtime operative David Brock, are on a nationwide fundraising tour to expand the group's budget nearly three-fold, from less than $30 million per two-year election cycle to $80 million for the 2020 campaign. That $50 million expansion will go toward a massive paid advertising campaign on TV, digital, and radio, officials said, as well as other efforts to persuade rural and exurban voters in Wisconsin, Michigan and Pennsylvania — with the possible addition of Florida — that Trump has been harmful for their economic interests. "We're going to focus on real-life testimonials and putting them in front of voters," Brock said. Trump has already spent tens of millionsof dollars on his reelection campaign and held dozens of rallies while Democrats are just beginning the year-and-half-long process of selecting their nominee. "While the strongest Democratic field in history brings their messages to primary voters and the American people, we are going to take the fight to Donald Trump, who has sold out hard-working Americans," said Andrew Gillum, the former Tallahassee mayor who ran for Florida governor last year. Gillum is joining the board of American Bridge's 501(c)4 non-profit arm, which is chaired by former Michigan Gov. Jennifer Granholm. New additions also include former DNC Chair Ed Rendell and operative Jessica Mackler, who ran the independent expenditure arm of the Democratic Congressional Campaign Committee in last year's midterm elections. Since Hillary Clinton lost the formerly solidly blue Midwest states, Democrats have debated whether to focus on winning back those voters or doubling down on their more diverse base. James Carville, the veteran Democratic strategist who works with American Bridge, said most in the party agree the answer has to be some combination of both strategies, but that too few resources have been invested in the Midwest. "If you want to win the election, you cannot afford to get beat 85-15 in northern Wisconsin, in western Pennsylvania, in north Florida," he said. "I don't dislike rural whites, I'm one, too. Why are we writing them off? That's not only politically stupid, I also think it's immoral." American Bridge has been a key player in Senate, House and gubernatorial races, digging up dirt on Republican opponents and deploying "trackers" to film GOP candidates' public appearances — some 11,000 events over the past two years. It backed Clinton during the 2016 Democratic primary, but is staying neutral in the party's 2020 primary contest. But playing in presidential politics at scale and running ads is new for the group. After the last election, it looked for ways it could add value to Democratic efforts in the next one and decided on this plan to try soften up Trump's support by leveraging its research prowess. The group has an existing 75-person operation focused on researching the Trump administration's policies and players, and it has amassed 176 gigabytes of data and more than 24,000 videos and audio clips. American Bridge regularly shares what it finds with other independent Democratic groups and, in the past, has let others take the lead on running ads. For instance, Priorities USA, the largest Democratic super PAC, this week launched the first in what it says will be $100 million worth of ads targeting Trump in a similar set of states. Less spoken, it also means offering a different message than what national Democrats are talking about — especially in the heat of a primary campaign that will focus largely on what is happening in the most progressive wing of the party. "We intend to rely on local voices to serve as our messengers in many of these key counties," the donor memo reads. "We know that national voices are not always the most effective with the set of voters we intend to target and persuade, and we will operate accordingly."